Degree One Events: UpNext 4. A Hip Hop Throwdown. UpNext 4. A Hip Hop Throwdown. Degree One presents the fourth installment of UpNext... a showcase ground for Vancouver Islands best underground hip hop talent. A spot for the artists that are striving to make good music and need a stage to rock. 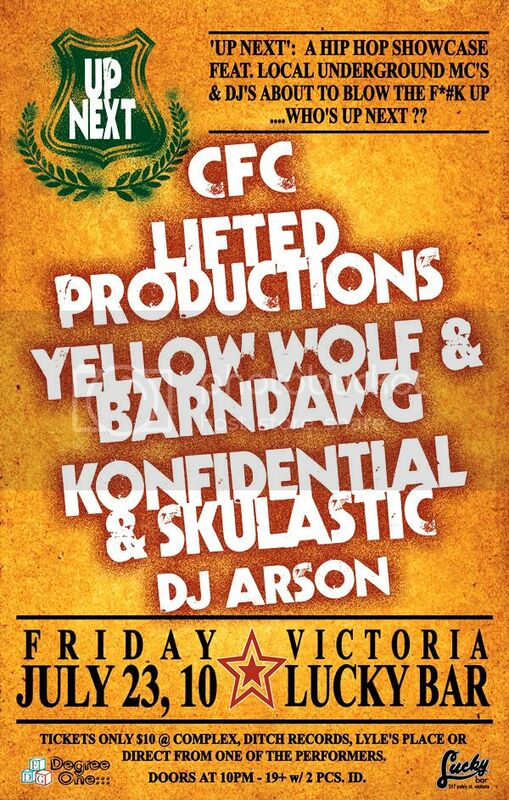 Solo MC's, DJ's and Crews.. come check out who's Up Next ?? Advance Tix are just $10 and ON SALE NOW at Complex, Lyle's Place, Ditch Records or direct from one of the performers hands.